Lori and I arrived on the first day of #AAAAI19 feeling excited and ready to learn a lot at the conference. 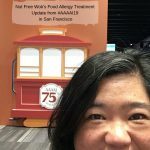 Lori Lee Newton, a food allergy mom of two food allergic teenagers, and I were chatting recently when she told me that she wished she could attend the American Academy of Allergy Asthma and Immunology (AAAAI) conference in San Francisco. I invited her to come and help me cover the conference. She wanted to share about two of the sessions we attended, psychosocial concerns about food allergies and Dr. Robert Wood’s plenary message about optimizing food allergy testing. Since two is better than one, we’ll both share our key takeaways from the two sessions and I wrote an additional post about everything else I learned at AAAAI19. Disclaimer: Lori and I are allergy moms, not medical professionals. We are sharing what we learned for your information and not medical advice. If you have any questions or concerns, please consult your medical care team. 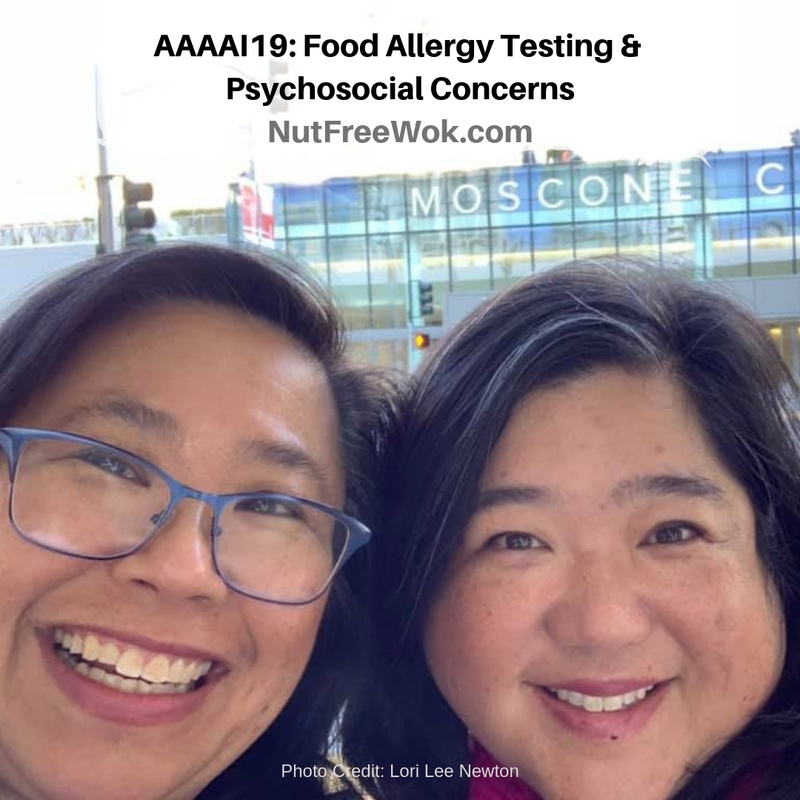 Lori: As a parent of two teens with life threatening peanut allergies, I jumped at the opportunity to attend the AAAAI – pronounced “quad aye eye”) annual meeting in San Francisco with the Nut Free Wok founder, Sharon Wong last week. Although this is a conference directed towards doctors and other medical professionals, I still gathered helpful information that applies to my life as a parent and teacher. Dr. Linda Herbert, Dr. Eyal Shemesh, and Dr. Hemet Sharma were the three panelists during the session which discussed the psychosocial implications of living with a food allergy. Lori: Dr. Linda Herbert, PhD (Children’s National Health System) reminded us that living with a life threating threatening food allergy requires a level of vigilance throughout all daily activities to keep the person safe. This must be balanced with managing the anxiety that comes from dealing with the unpredictability of reactions, but also allowing the child to engage in developmentally appropriate activities. Lori: It is a tricky line to follow to let our kids do all of the things that their peers are able to do, while also making sure that they are safe while doing so. Having two sons who are actively involved in school, baseball, karate, robotics, while also having busy social lives, my kids and I are constantly balancing the exact things that were discussed in this session. How does your food allergy impact your daily and family life? What is going well? What causes challenges? How do you manage your food allergy at school? Where do you eat? Who do you sit with? How do you feel about that? Have you ever been teased or bullied about your food allergy? Do you ever feel unsafe? 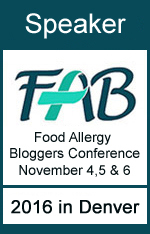 Do you feel nervous, sad, or worried about your food allergy? What do you think of oral food challenges? Do you carry epinephrine all the time? Do you think you could self-administer, if needed? The answers to these questions can assist doctors in choosing whether a mental health referral should be made. Sharon: I loved Linda Herbert general suggestions for doctors and medical professionals on how to talk with children about food allergies. I think the following suggestions for the doctors can also help parents and caregivers to be more aware about our children struggling with their feelings. Consider all the answers with regards to frequency, duration, and severity to determine whether or not help is needed. Dr. Eyal Shemesh (Icahn School of Medicine at Mount Sinai) talked about how Jaffe has been providing mental health services to pediatric patients with food allergy related psychosocial concerns through Jaffe’s EMPOWER program. Sharon: Dr. Shemesh shared his observation that a food allergy clinic is really a stress clinic because while patients do not have an allergic reaction every day, they are affected by food allergies everyday. Researchers studied the level of parent distress versus the age of a food allergy child. The results showed high levels of parental distress at all ages of their children between ages 0-18. Apparently the level of parental distress drops off after 18 years of age perhaps because children go away to school or work. 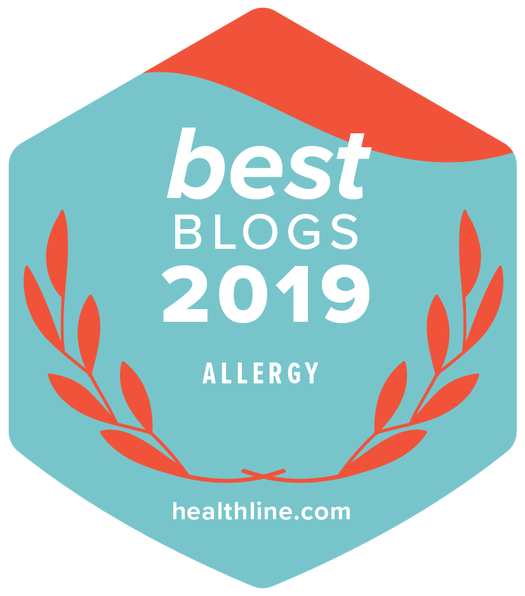 But it’s not realistic, even though parents might not need to manage the day to day activities of living with their adult children’s food allergies, they might still feel an undercurrent of worry. Dr. Shemesh mentioned that parents don’t seek out mental health support for a variety of reasons. They didn’t think of it, they’re overwhelmed, they didn’t receive a referral, etc.. Dr. Shemesh mentioned that a little bit of anxiety is helpful and normal because anxiety helps us to focus on solving a problem. He also noted that parents of food allergic children do not suffer more mental health issues more than the general population, their anxiety levels are normal, which is reassuring. It’s important to note that parents aren’t always aware of bullying. If doctors suspect that some bullying may be occurring, they need to notify the parents to help the child. Children aren’t able or responsible to tell the parents. Lori: The EMPOWER program focused on patient and family centered care, featuring emotional support from trained professionals. Since not all anxiety is officially diagnosed, he and his colleagues found that trained food allergy mental health professionals assisting newly diagnosed patients could decrease parental anxiety by giving them tools such as learning how to deal in social interactions while learning to navigate the food allergy. As an example of how mental health support can help in a clincial setting, Dr. Shemesh told us about a study in which researchers learned that children who do not think they could self-inject were more anxious. They discovered that practice with a sterile needle in an office setting helped them overcome some of their anxiety. The study was published in JACI. He mentioned two caveats: anxious patients had to agree to the study and it’s unknown what is the lasting effect on their quality of life. In cases where more support was needed, doctors and mental health professionals would meet together with the patient to help guide care. A limiting factor is that there are not enough mental health professionals who are well versed in food allergy management. They discovered that doctors were more able to confidently to diagnose anxiety after a 1 hour training. Sharon: Dr. Hemant Sharma (Children’s National Health System) elaborated some more about when to make a referral for mental health support and presented three case studies of patients who benefited from working with a therapist. His examples illustrated how pediatric allergists referred their patients who then met with a therapist. 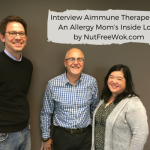 Then the therapist and the allergist would collaborate as a team to help the patient with therapy so that the patients would feel more empowered to manage their food allergy psychosocial issues and the patients in the three case studies experienced improvements over a few months. 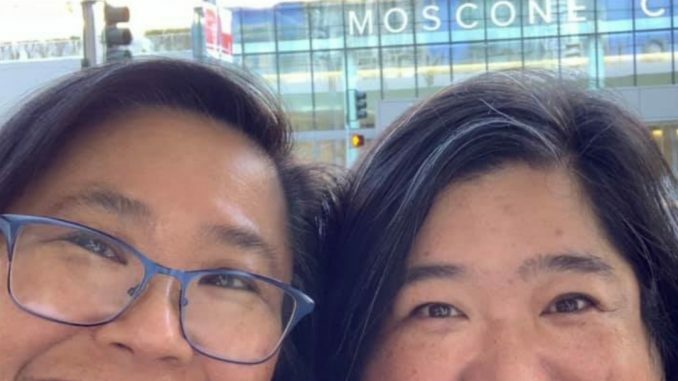 Lori and I arrived at the Moscone Center in San Francisco on the first day of #AAAAI19 feeling excited and ready to learn a lot at the conference. We heard about the high rate of over diagnosis, because our current diagnostic tests are highly flawed. He stated that up to 10-50% of diagnosis could be false positives with 1st and 2nd generation skin and specific IgE tests. 3rd generation component testing cannot predict severity of reactions. We hope that with 4th generation testing, we will find better diagnostic accuracy, and be able to predict threshold amounts, and severity of reactions. With better testing results, we hope that this can lead to identifying appropriate treatments for specific patients. He reiterated that we need to be able to conduct food challenges when the diagnosis is unclear. Sharon: I’m so glad that Lori was able to join me as she took excellent notes during Dr. Wood’s talk because my basic takeaway during the session were 1) Dr. Woods is letting us know that the current food allergy tests have limitations and 2) we need better diagnostic tests. 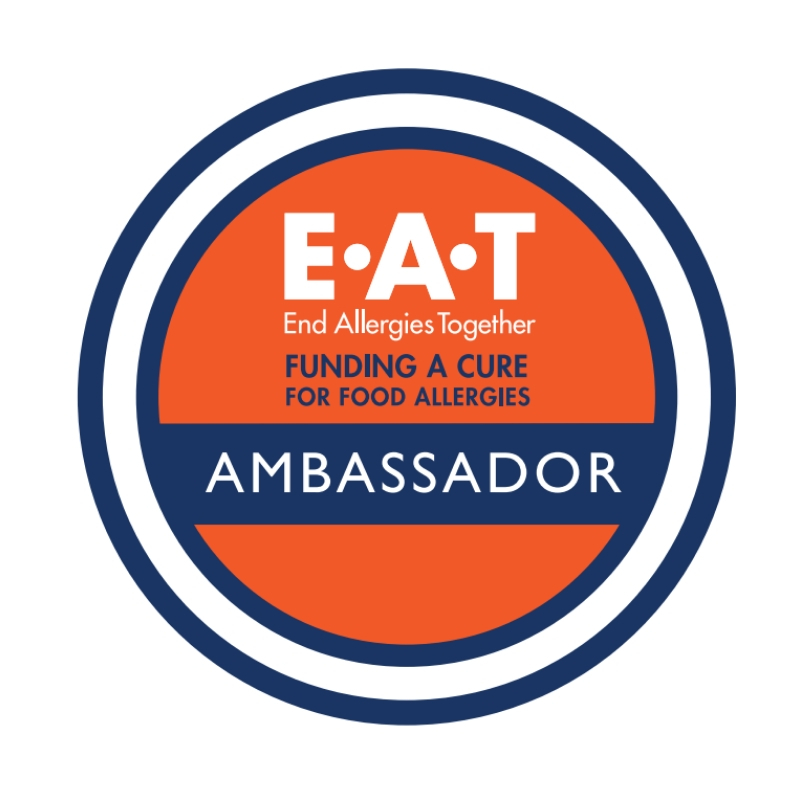 I think that it’s a call to action for researchers to work on food allergy diagnostics options and for patients and families, it means that current food allergy test results need to be interpreted with the help of an experienced allergist. The fear of life threatening and/or life ending allergic reactions is prevalent among many parents. Parents fear their child eating food with unknown allergens, or their child being away from them during a reaction. There are many factors involved when making the choice to pursue treatment or stick with avoiding allergens. OIT (oral immunotherapy – eating the allergen), SLIT (sublingual immunotherapy – drops of allergen placed under the tongue), and EPIT (epicutaneous immunotherapy – patch therapy) are current treatments being studied, and the ultimate goal are safe treatments which improve patients’ quality of life and minimize their risk of allergic reactions of accidental ingestion of their allergens. Researchers continue to look at sustained tolerance, what happens to patients’ allergen tolerance levels when they stop treatment, it seems that each of these treatments will require ongoing dosing. Sharon: I was so glad we were able to stay to listen to the first two plenary speakers talk about testing and treatment. We miss Dr. Cecilia Berin’s talk about Novel Therapies in Development, which I suspect includes BOPI and PVX108 and other treatments. I wrote an update about the rest of AAAAI19 which I shared in a separate post. Lori: It was awesome to be able to discuss these sessions with Sharon – another food allergy mom, with two teen sons – just like me. We found that we have many things in common beyond our Chinese heritage. We both have been teachers, we both have only sons, we both have kids who have food allergies and have gone through research trials, we both love Asian food, and most importantly, we both have the same Starbucks coffee order (soy latte, in case you’re wondering). Sharon is every bit as friendly, helpful, and knowledgeable in real life as she is on her blog. Thank you Sharon, for inviting me to attend this conference with you. I thoroughly enjoyed the visit, and I have a much better understanding of your love and dedication to your blog and your readers! Sharon: Oh, and our glasses are very similar because they’re the same shade of blue! Mom of boys, same Starbucks drink, same career background, we’re almost twins. I love that our observations complemented each other well to present a whole picture of at least 2 sessions. Thank you Lori for joining me, it was so fun and informative to attend and cover some of AAAAI19 conference together! Sign Up for Emails from Nut Free Wok! The best way to see every post or recipe is to subscribe to Nut Free Wok’s email subscription (be sure to respond to the confirmation email). I won’t send you spam or share your email address with anyone. 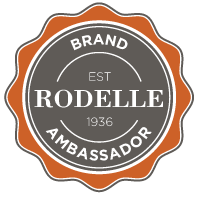 I may mention the names of stores and/or brand names of products that I use because readers ask and I share products and sources which I use and think may be helpful to readers, all opinions are my own. Please note that manufacturing practices and ingredients can change at anytime without notice and readers are always responsible for assuring allergen safety before buying or consuming foods. NutFreeWok.com is a participant in the Amazon Services LLC Associates Program, an affiliate advertising program designed to provide a means for sites to earn advertising fees by advertising and linking to Amazon.com. Thank you for reading! Welcome to Nut Free Wok, a blog about Allergy Aware Asian Fare. 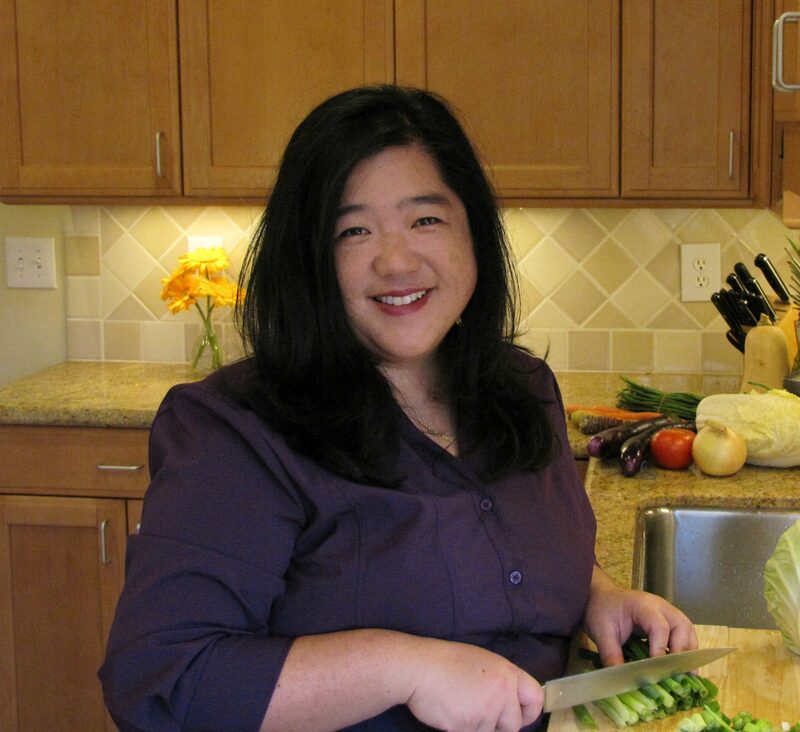 I hope that you will find my food allergy mom experiences helpful and enjoyable to read as I write about recipes, cooking techniques, Asian ingredients, and food allergy related awareness and advocacy issues. My professional experiences include education, teaching, and a little bit of science and computers. Thank you for visiting! ~Sharon Wong, M.Ed. Love my posts? 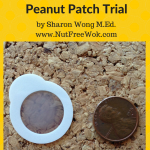 Receive an email alert for new posts and newsletters from NutFreeWok.com. Subscribe today, I won't send you any spam!